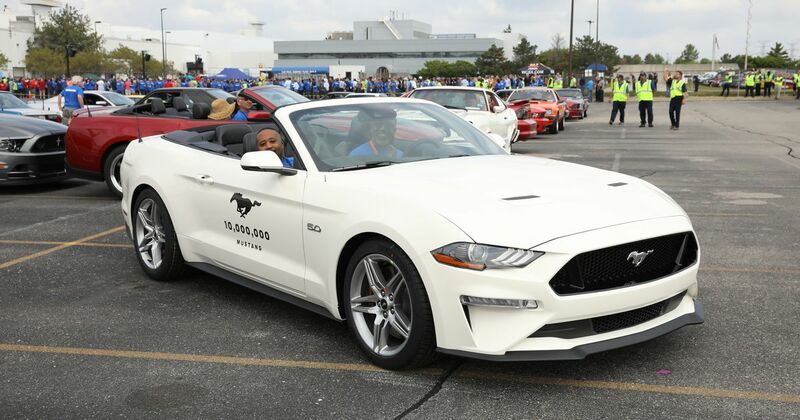 Ford has now made an astonishing 10 million Mustangs, and the company just revealed the 10 millionth example of the sports car at a big bash in Michigan. 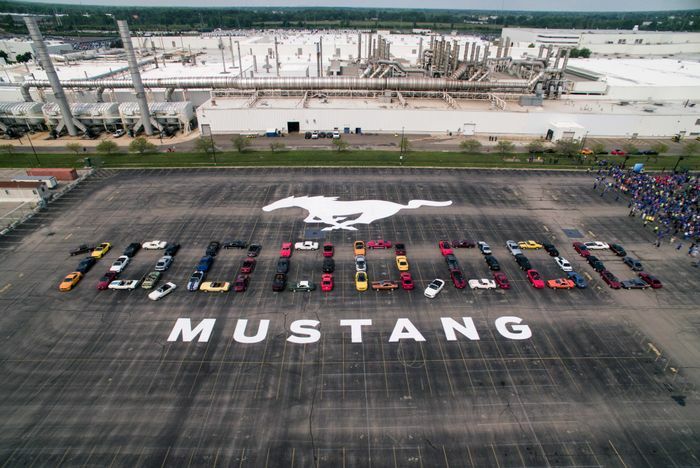 The celebration - held outside the Flat Rock Assembly Plant where the car is currently manufactured - featured 60 Mustangs from various eras, neatly arranged to display ‘10,000,000’ when viewed from above. We’ll award extra Internet points for including the commas. The icing on the cake? That’d be a fly-past featuring three P-51 Mustang fighter planes. Murica, etc. 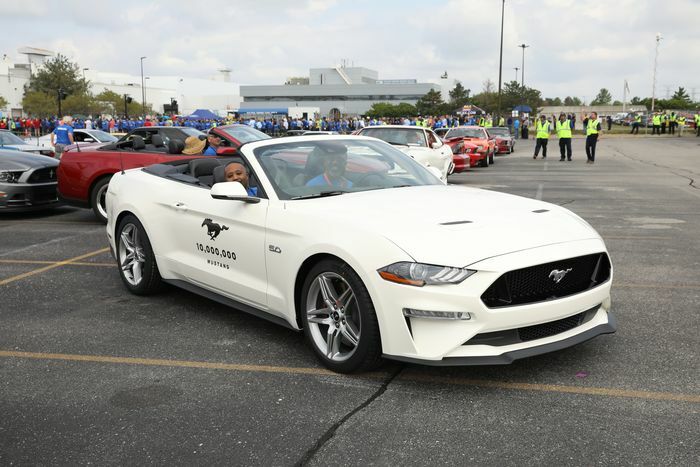 As for the 10 millionth car itself, the 2019 model year Mustang is a Wimbledon White GT convertible, mirroring the spec of VIN 001 - the “first serialized 1964.5 Ford Mustang”. 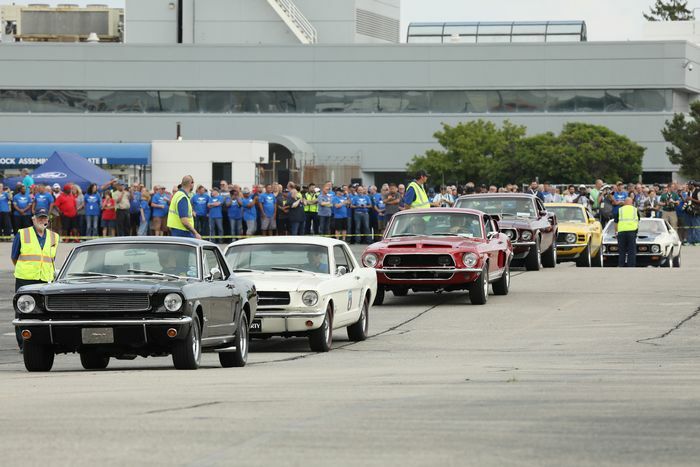 Unlike that car though, which has its 163bhp V8 hooked up to a three-speed automatic, the 464bhp 5.0-litre lump in Mustang number 10 million is mated to a six-speed manual.